We love your data too. New flyers coming soon! We have been working on revamping our marketing materials. 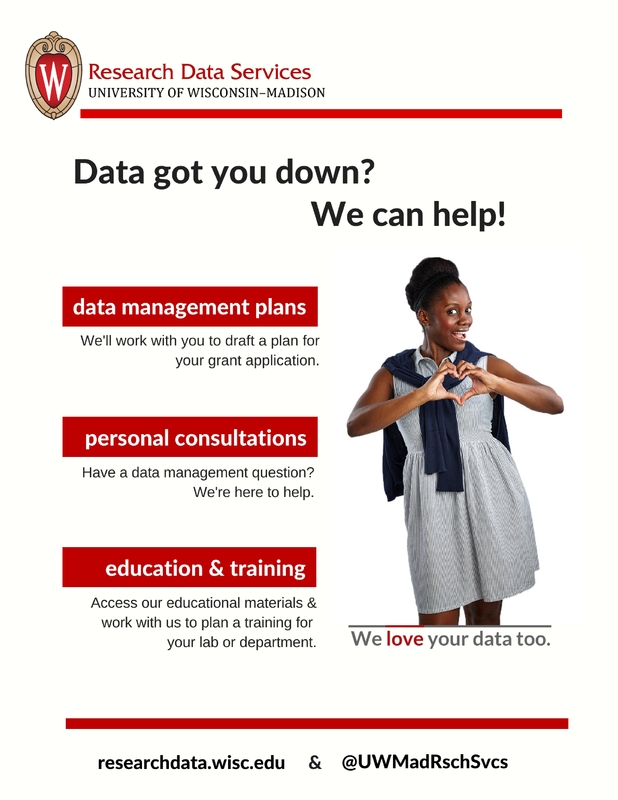 Though we are very fond of “data man,” as we’ve come to know him, we couldn’t help but feel that we could do a much better job of representing the diversity of our research community at UW-Madison. RDS is committed to supporting all researchers, period. Our differences strengthen our abilities as collaborators and innovators. To further this commitment, we’ve created a new community of “data people” that moves us closer to our aim of being as inclusive as possible in our outreach to campus. We won’t be sharing everyone until later in the month but stay tuned. We hope you’ll like the results!